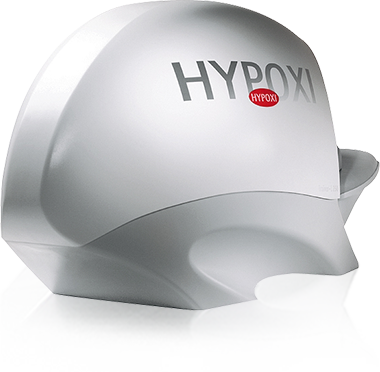 The registration of HYPOXI’s Patent Number E.P 0906774131 on 3 October 1997 marked a new era in the health and weight loss industry. 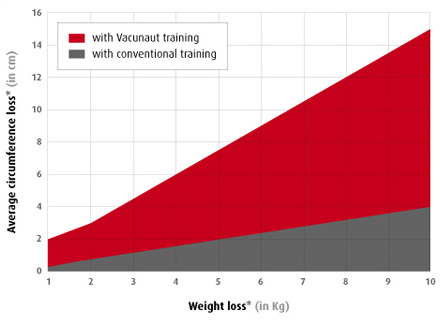 HYPOXI is the FIRST patented device to incorporate vacuum technology with exercise to achieve real targeted fat burning – making it a clear industry leader. with regard to fat in the targeted zones, HYPOXI is significantly superior to a conventional workout. 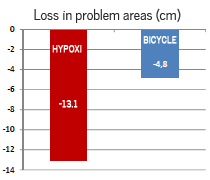 HYPOXI is a scientifically method for fat reduction on problem zones. 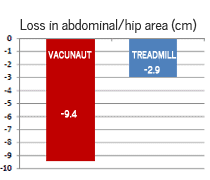 In a controlled study conducted Landeskrankenanstalten Salzburg, Magnetic Resonance Imaging (MRI) was used to measure and visually demonstrate the fat reduction achieved with HYPOXI training. The test was conducted over a two week period, over which time the subjects carried out eight HYPOXI training sessions in the L250. 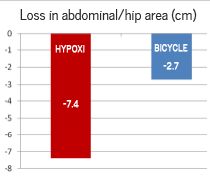 In order to reliably measure the fat reduction over this time, an MRI was taken prior and then subsequent to the completion of the HYPOXI treatments. 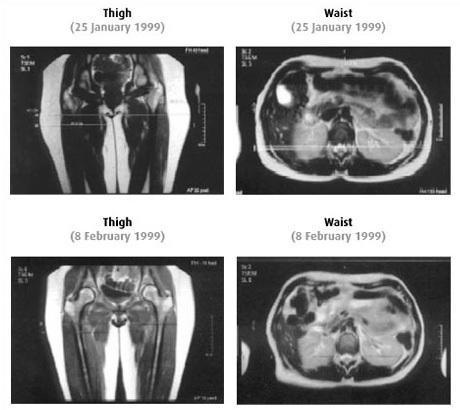 It is apparent from these MR images that the thickness of the fat surrounding the subject’s lower body noticeably reduced on the completion of the HYPOXI L250 training sessions. 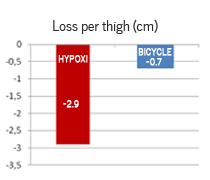 In 1998, a scientific trial was conducted to compare the results in targeted fat loss and cellulite reduction achieved with HYPOXI training against those achieved with conventional exercise. From the above results it is evident that those who participated in HYPOXI training were able to concentrate their circumference loss to the specific problem area of the body, in contrast to conventional exercise. 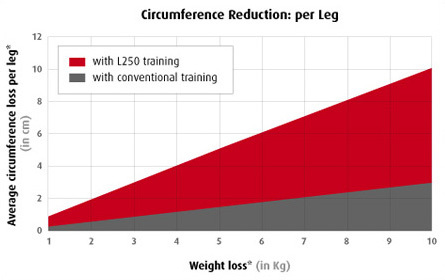 those participants who undertook training in the L250 achieved on average a 3 times higher loss of circumference in the area of the lower body than the controlled sample who undertook conventional exercise.